We are lucky in Portsmouth to have some fantastic locally made craft beers. 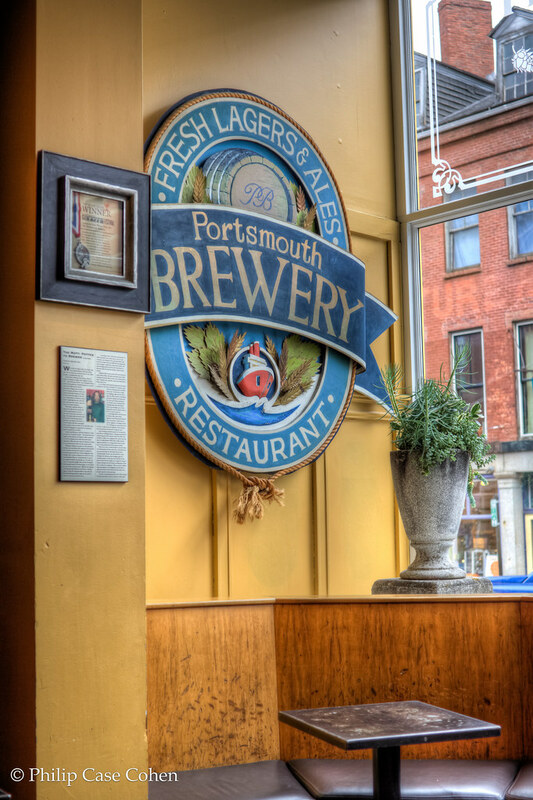 New Hampshire’s original and thus the city’s longest standing brewpub, The Portsmouth Brewery, is located right on Market Street with one of the most recognizable facades in town. What I typically pay less attention to is the interior of this fine establishment, which is world renowned for its award winning Kate The Great (which will be released to the public in 2011 on March 7th). Last time I was in – this cool older sign caught my eye in the afternoon light….and I loved the textures of the sign and the detail of the plant, contrasted against the softer brick buildings across the street.